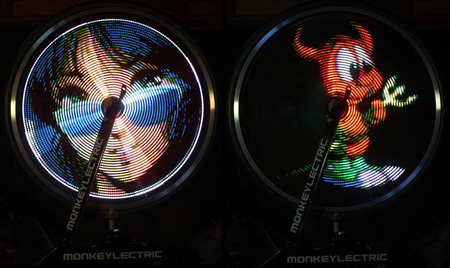 MonkeyLectric have developed an innovative bike wheel display system that allows cyclists to show stabilized images and videos on spinning wheels. This looks awesome, but I have a hard time believing it. 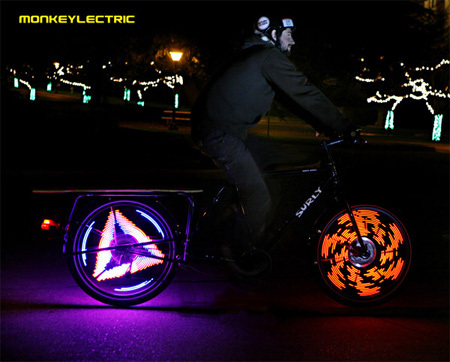 Would you have to be peddling at the same pace all the time? I hope this is real. Saw this a while back on cars, but makes more sense for cyclists to have from a safety pov. I like this concept, but, they haven’t “created” enything, since the original concept was applyied to the DUB’s Pimpstar Wheel for autos. But the reduction projeto to fit in a bike is just nice! Congrats to the developers, that should make our streets more colorful. 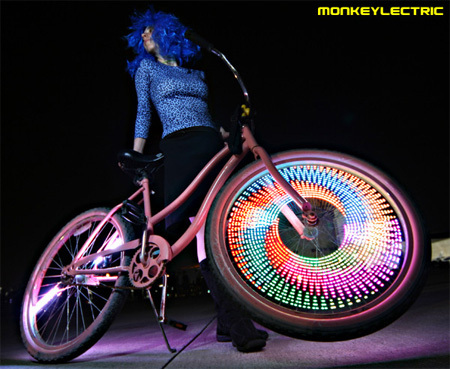 i would want one, but i would just stick with a couple of nice pictures that look cool instead of loads of shoddy ones. WOW, this is rad. 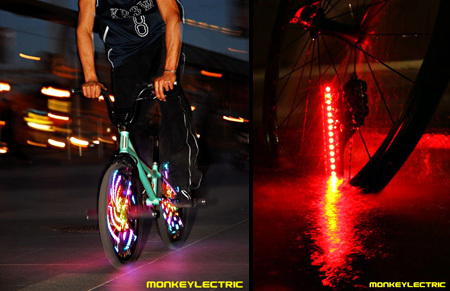 Have you considered bringing this to Burningman the festival in the desert of Nevada (end of August, Sept) where it’s all about bikes and lights!!!!!! I can be your Burningman Ambassador! Let me take it!!! 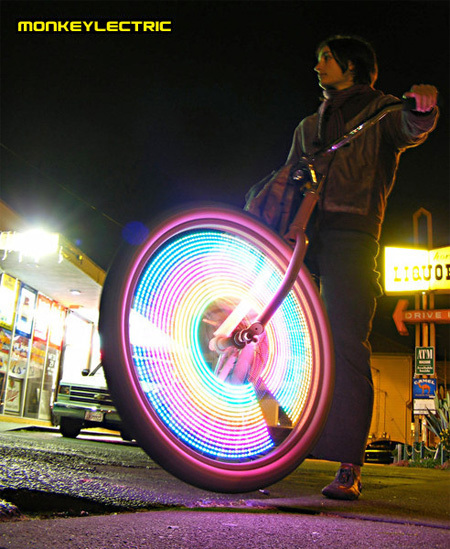 Yeah… I want this on my bike. The lighting system is awesome, but DAMN EXPENSIVE!!! 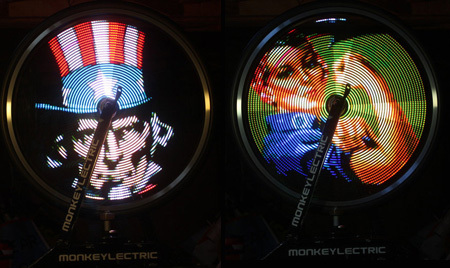 If you’re not made of money, and have a bit of soldering/PCB skill, look up “SpokePOV” for the DIY version of this. Greetings what is the price for system and how easy is it to ad an image. Would this work on the wheels of my wheelchair and if so where can I get them?